For two students admitted into Tulane’s class of 2021, the question of whether they can attend may be out of their hands. This uncertainty exists not only for these two students, but all community members affected by President Donald Trump’s executive order issued Friday. The order placed a 90-day ban on travelers from seven Middle Eastern countries and suspended the admission of all refugees for 120 days. The ban on Syrian refugees, however, is indefinite. Originally, the ban included legal visa holders from these countries, but a federal judge in New York placed an emergency stay Saturday, allowing these individuals to travel to and enter the United States. One of the admitted students, who is from Iran, sent a letter to the Office of Undergraduate Admission reacting to the executive order. In the email, in which he uses the third person to refer to himself, he documents his dreams to become a doctor, help the homeless and adopt a child. Members of the Association of American Universities began responding to the order Saturday, with a letter from Harvard University President Drew Faust. Now more than 55 universities in the AAU, including Tulane, have issued both internal and external statements disapproving of the order. Mohammad Sadegh Azimi, a Ph.D. candidate from Iran studying biomedical engineering, said he feels others misunderstand how complicated gaining entry into America can be. Kristy Magner, director of the Office of International Students and Scholars, and her staff began preparing for the ban on Wednesday, Jan. 25. The preparations included researching legal implications, consulting with colleagues and meeting with affected students and their families. Magner said the order affects at least 10 students and 14 faculty and staff members. Trump compared his ban to former President Barack Obama’s ban restricting visas for Iraqi refugees in 2011. Critics of this comparison state that Obama’s ban was smaller in scope and that there was an immediate threat from Iraq. Tulane College Republicans said in an organization statement to The Hullabaloo that it supports Trump’s actions. The American Civil Liberties Union has been providing legal advice to immigrants and foreign residents in the U.S. since the ban went into effect. Marjorie Esman, executive director of ACLU and ACLU Foundation of Louisiana, said that students confronted by law enforcement should be aware of their rights. Tulane advises affected members of the Tulane community to contact the Office of General Counsel. 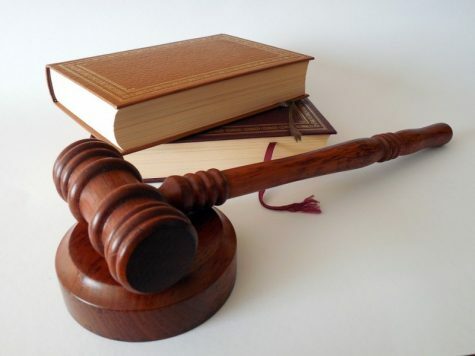 For more information about foreign nationals’ rights and ACLU recommendations click here. 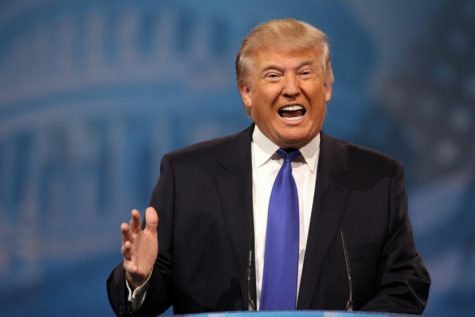 Arnold Hecker, an immigration attorney from Broward County, Florida, said immigrants are important to this country, citing Leo Szilard, who contributed to the creation of the atomic bomb. The students affected are graduate or professional students. Tulane offices are currently working toward finding a way to help these students, who do not have the ability to travel to see their families or do research related to their degree programs. 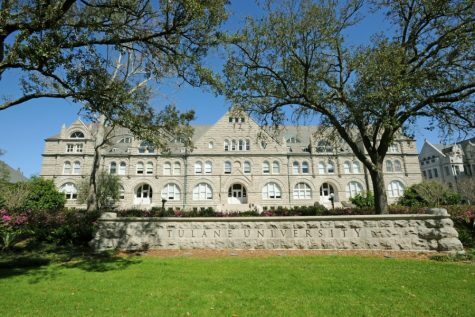 Tulane Admission does not actively recruit on the ground in the affected countries. In the past, it has met with students with citizenship from those countries, most from Syria and Iran. Tulane does not use a student’s citizenship or country of origin as means of consideration during the admission process, and the executive order will not affect a student’s ability to apply to colleges and universities in the U.S. It is only their approval for entry that is restricted. Tulane College Republicans said it supports the executive order and would even support expanding the affected countries to include Saudi Arabia and Pakistan. Despite the recent executive order, various Tulane admission offices have been dealing with concerns about the political and cultural climate in the United States. The Office of Undergraduate Admission has been in contact with students who have citizenship in the affected countries. The office also emailed all international applicants affected by the order to clarify the situation and reiterate that Tulane values mutual respect, non-discriminatory actions and open inquiry. Similar to those two students who do not know if they may be able to attend Tulane, Sadegh Azimi, who has spent the last five years here, does not know if his family will be able to come celebrate his accomplishments in May. CLICK HERE TO READ THE INTERSECTIONS ARTICLE ON STUDENT EXPERIENCES. President Fitts addresses immigration concerns with Tulane community in an email. 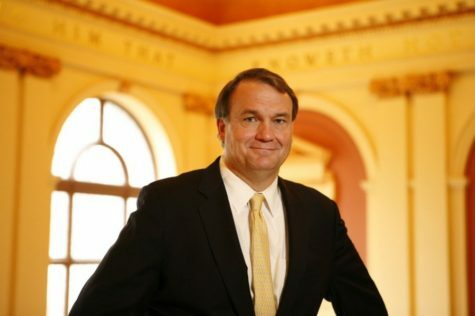 He reaffirms support for students registered under the Deferred Action for Childhood Arrivals program. 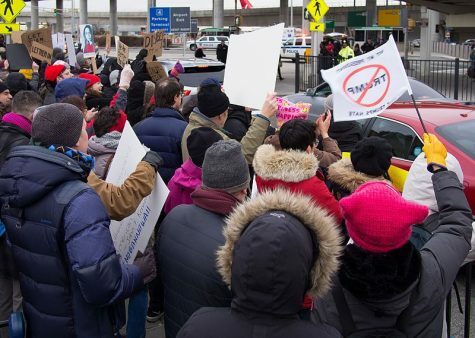 Protests erupt at John F. Kennedy International Airport in response to the detainment of refugees and green card holders. The group is in the hundreds by late afternoon. The American Civil Liberties Union files a request to stop the deportation of people in airports. “President Trump’s war on equality is already taking a terrible human toll. This ban cannot be allowed to continue,” said Omar Jadwat, director of the ACLU’s Immigrants’ Rights Project. U.S. District Judge Ann Donnelly for Brooklyn, New York, grants the ACLU the injunction and temporarily blocks the executive order. The stay affects 100-200 people stranded in airports across the country. 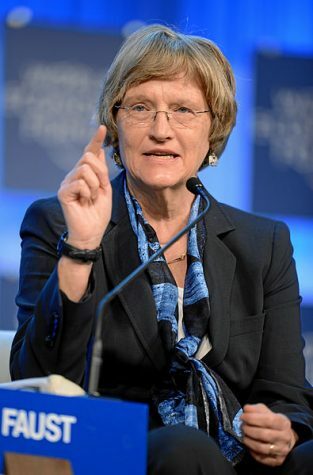 Harvard University President Drew G. Faust criticizes the order in contrast to the school’s “vital interests.” The university president cites a list of resources Harvard will provide to members of the school community affected by the order. 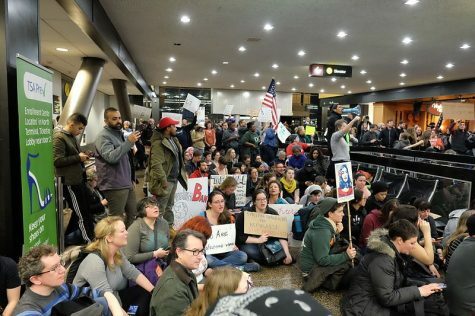 Protests mount at other major airports across the country, including Los Angeles, San Francisco, Washington D.C., Dallas, Raleigh, Houston, Seattle, Atlanta, and Portland, Oregon. There are demonstrators at the White House, Boston’s Copley Square, Manhattans’ Battery Park and other national landmarks. President Mike Fitts sends a second email expressing “deep distress and concern over this recent action.” He explained that there are 23 Tulane students, faculty and researchers affected by the order and hailed diversity as a tenet of Tulane. Josh Axelrod contributed to the reporting of this story.